From individually wrapped prunes to over-packaged USB drives, excess packaging has become a momentous problem. Required for safety, preservation, and marketing, packaging can be valuable, however excess packaging waste is a growing environmental and societal concern. Pulitzer price winning author Russell Baker once wrote, “The American dream is to turn goods into trash as fast as possible.” This could not be truer than in the case of packaging. Emphasis on selling more and cheaper goods has been the ultimate goal of most companies through attractive packaging. Packaging design has been known for ignoring efficiency to create more advertising space or using more materials than necessary to create the illusion that the consumer is getting more for their money (see fig. 1 & 2). Extra packaging is used unnecessarily in order to brand as many surfaces as possible or to promote convenience over environmental responsibility. In the book Cradle to Cradle: Remaking the Way We Make Things, authors McDonough and Braungart note that “more than 90 percent of materials extracted to make durable goods in the US become waste almost immediately” (27). Problems arising from waste—landfill leachate and methane emissions, destructive materials sourcing, production, and transportation, and marine debris—has taken a toll on our environment. In the United States, containers and packaging constituted the largest portion of the municipal solid waste generated in 2009: about thirty percent, or about 72 million tons (see fig. 3). Fortunately, around forty-eight percent of that packaging waste was recovered for recycling (EPA). In food packaging alone, Americans discard 570 million pounds each day (good.is). The typical American school-age child generates sixty-seven pounds of discarded school lunch packaging waste per school year. Annually, that equals more than 18,000 pounds for the average-sized elementary school. “If every American child attending a public elementary school packed a waste-free lunch, 1.2 billion pounds of lunch waste would be diverted from landfills each year” (Hemmert). The convenience of pre-packaged lunches, prepared meals, and pre-portioned snacks, far outweigh inflated prices and environmental impact to many consumers (see fig. 4). The environmental and health effects of this unnecessary waste on our already strained environment are insurmountable. Many types of packaging, particularly Styrofoam and other plastics, can leach harmful chemicals into food. Styrene, found in Styrofoam, primarily exhibits its toxicity to humans as a neurotoxin (Heimeier et al). Several studies found high levels of bisphenol A, a chemical attributed with hormone disruption, in canned and packaged foods. The health effects from exposure to such compounds include immune dysfunction, metabolic disorders, and reproductive problems (Muncke). Additionally, endocrine disrupting phthalates and the carcinogen benzophenone have been found to leach into foods and beauty products from packaging. 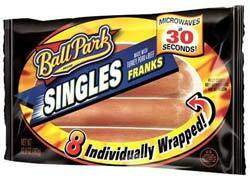 Packaging usually makes up around ten to twenty percent of the cost of the non-produce items purchased (Lane). Vance Packard wrote in his book The WasteMakers “the average United States family today spends five hundred dollars of its income each year just for the package!” (58) That was back in 1960. Imagine the cost today! It is estimated that the packaging cost of some cosmetic products may be as high as forty percent of a product’s selling price (knowthis.com). It is evident, however, that consumers are willing to pay the price for convenience. In an article on the Science in the Public Interest website the author explains that a 100-calorie pack of Keebler cookies cost $2.50, while a regular bag of the same cookies runs $3. However, the “regular bag weighs four times as much, making the 100-calorie packs three-and-a-half times more expensive per ounce.” Other snacks such as Goldfish and Sun Chips share similar statistics (cspinet.org). “Hundred-calorie packs are an ingenious way for companies to charge consumers more for less,” said CSPI Executive Director Michael F. Jacobson (cspinet.org). Although packaging is attributed with generating large amounts of waste and consuming valuable resources, in some instances it is a necessary evil. Packaging is crucial to protect and preserve perishable and fragile items. Even though whole fruits and vegetables come in their own natural wrapper, there are instances where one might come across packaged produce. 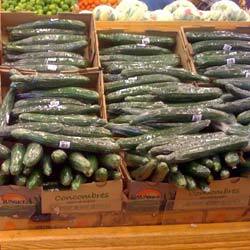 According to the Cucumber Growers’ Association a small amount of plastic wrap extends a cucumber’s shelf life from 3 to 14 days (see fig. 7). Other studies show that apples, potatoes, and grapes packaged in a shrink-wrapped tray reduce fruit damage and waste by twenty-seven percent (McWIlliams). However, packaging fruit adds more than twenty percent to its cost (Widdup and Cecil). In summary, packaged goods create more non-organic waste and higher price to the consumer but less organic waste and less cost to the grocer. It is challenging to weigh the pros and cons of the impact areas in this example. One possible solution might be to harvest and stock less perishable food at a time reducing packaging and food waste, but at the expense of requiring additional shipments. Packaging is also used as a form of advertising and education. With more surface space created by a box or container, more room is provided to promote brand identity, communicate selling points and product features, and when necessary, provide required details such as nutritional information or potential hazards. Color, size, shape, fonts, and images are all carefully taken into consideration when designing a package for maximum visibility and lure. Packaging design reinforces a brand identity, familiarity, and creates trust for a particular brand. This works effectively when shoppers have instantaneous recognition of a brand. Well-designed packaging equals greater profit. Profits also rise with the appearance of cleanliness. There has been an increase in bacteria and germ awareness in the recent years. Products containing antibacterial agents increased from a few dozen products in the mid-1990s to more than 700 today (Harr). Anti-bacterial hand sanitizer dispensers are appearing in many public spaces, shopping malls, and grocery stores. With the recent trend in sanitation extremism, packaging food and other items could help increase sales. The packaging can be perceived as an added sanitary layer of protection from dirty hands and germs. Large packaging deters theft for easy-to-pocket items such as small electronics. Packaging higher-priced items also allows for the addition of a security tag, also helping to prevent theft. The 100-calorie pack concept many snack food brands are marketing is popular not just as a diet product, but also as a convenience item. 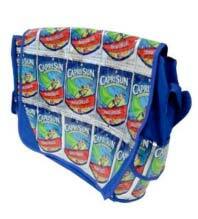 Sales of 100-calorie packs of snacks reached $200 million annually after just three years on the market (Peters). In today’s fast-paced society where eating on the run is more common that sitting at a dining table, the concept of “just grab and go!” is appealing. These snacks require no preparation, no mess, and no time involved. 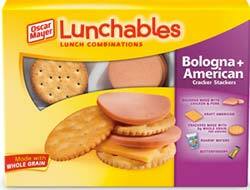 In addition to convenience, smaller portions of packaged food can sometimes be more suitable. For example, when members of a household may not share the same taste—or in a smaller household—the food is not consumed quickly. 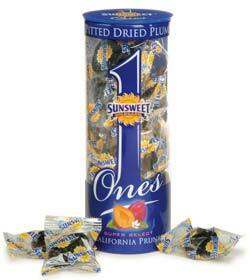 Larger quantities can spoil or turn stale once the package has been opened. While packaging is sometimes necessary, it is important to consider that with a little innovation and planning, excess waste can be eliminated or greatly reduced. Currently, at least 28 countries have laws encouraging reduced packaging and increased packaging waste recycling. Many of these laws require manufacturers to accept their packaging discards or pay for their recycling. There are no similar laws in the United States (EPA), but some organizations are taking the lead in sustainability initiatives. The Sustainable Packaging Coalition (SPC) is an industry working group dedicated to a more robust environmental vision for packaging. Through a science-based approach and supply chain collaborations the SPC aims to build better packaging systems for sustainability. As a member organization, the SPC provides information on best practices, case studies, new materials and technologies. Is effectively recovered and utilized in biological and/or industrial closed loop cycles. More and more organizations are making positive change and implementing sustainable packaging design practices as defined by the Sustainable Packaging Coalition. Aveda: The beauty company creates most of their packaging from high content post-consumer waste, reducing overall packaging to a bare minimum, and use packaging materials with the smallest environmental impact. Aveda uses 100% post consumer recycled PET for skin care and hair styling bottles and jars and renewable energy powers the manufacturing and filling of packaging (see fig.8). PUMA: “The Clever Little Bag” has no tissue paper, zero laminated printing, takes up less space than a traditional shoebox, and weighs significantly less when shipping. It uses 65% less paper and reduces water, energy, and diesel consumption during manufacturing by over 60% a year. An attached handle eliminates the need for wasteful plastic retail bags. This satchel is non-woven which requires less work for assembly and because it is stitched with heat, produces less waste. The “Clever Little Bag” is also 100% recyclable and reduces PUMA’s carbon emissions by 10,000 tons a year (safe.puma.com) (see fig.9). Amazon: The Amazon Kindle DX is encased in streamlined minimal packaging, which uses less resources and also helped in reducing costs. 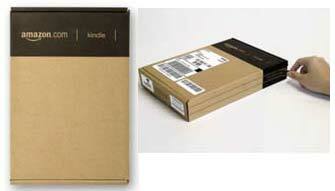 The Kindle DX packaging is 90% recyclable and 90% made from recycled materials (see fig. 10). 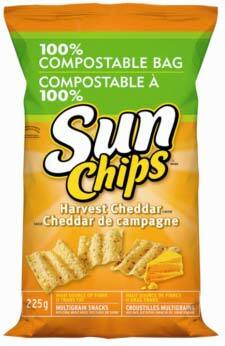 SunChips (Fritolay): The snack company Introduced a 100% compostable chip bag made from PLA, or polylactide, a versatile polymer made from plants. In normal backyard composting environments, the bag completely composts in approximately thirteen weeks (see fig. 11). 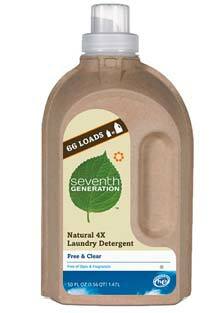 Seventh Generation: The recyclable or compostable laundry detergent bottle is made from 100% recycled fiber (see fig 12). The entire packaging system (fiber bottle, pouch, spout, cap) system uses sixty-six percent less plastic than a typical laundry bottle. In addition, the detergent is non-toxic, biodegradable, and produced with no optical brighteners. In.gredients: In.gredients will be the first package-free and zero waste grocery store in the United States (see fig. 13). Their ethos states, “Our goal is to reduce waste by ditching packaging altogether. Instead of recycling packaging that is already been produced, we’re “precycling” it before it is even made – proving that most food packaging is unnecessary” (in.gredients.com). Terracycle: Started in 2002 as a worm casting fertilizer business, Terracycle now creates national recycling systems for previously non-recyclable or hard-to-recycle—and mostly packaging—waste. The collected waste, such as candy wrappers, yogurt containers, tape dispensers, and wine corks, is turned into a wide variety of products and materials (see fig. 14). Walmart: The super store giant plans to reduce packaging waste by five percent globally by 2013 and to be packaging neutral globally by 2025. Walmart also announced the creation of a Sustainability Consortium, a group representing governments, non-governmental organizations, academic and business interests to establish the scientific standards to measure the sustainability of consumer products. The Consortium “will help develop a global database of information on products’ lifecycles – from raw materials to disposal” (walmartstores.com). Wicked problems, as Horst Rittel explains, are ill-formulated social system problems with confusing information and people on all sides with conflicting values (qtd. in Buchanan 30). A wicked problem is a symptom of another, “higher level,” problem with solutions expressed as “good” or “bad” (Rittel and Weber 162, 165). Packaging waste is a wicked problem in which there is no right or wrong solution, and that is a result of other larger problems. In The Design and Culture Reader, Ben Highmore explains that the advances in technology are not as important as the habits or “norms” those technologies create. “Everyday life witnesses the path technologies take when they become ordinary…” (5) When applying this concept to packaging, habits have been formed based on convenience. The technology and innovation that allows us to package, preserve, transport, and sell has become ordinary and taken for granted. This culture of excess waste, of choosing convenience over environmental responsibility, is adversely affecting our natural world. It is evident that climate change is a direct “consequence of a variety of design processes, design values, and design products” (Highmore 1). As advertising and marketing media have demonstrated, designers have the power to influence trends and fashion, change attitudes, and inspire actions. Therefore designers must embrace their role as agents of change for the greater good. The declaration of the Native American Iroquois Confederacy states, “In our every deliberation we must consider the impact of our decisions on the next seven generations” (Warner and DeCosse). So when designing, we must ask ourselves, how will this impact the next seven generations? 2011 Global Responsibility Report. Rep. no. 4. Web. 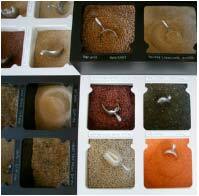 2 Nov. 2011. .
“28 Recyclable Packaging Designs as Source of Inspiration.” Best Design Options. 21 Mar. 2011. Web. 26 Oct. 2011. .
“Acting Responsibly.” Aveda. Web. 19 Oct. 2011. .
Boylston, Scott. Designing Sustainable Packaging. London: Laurence King, 2009. Print. Buchanan, Richard. “Wicked Problems in Design Thinking.” Design Issues 8.2 (1992): 5-21. The MIT Press. 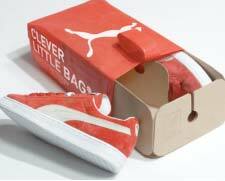 Web. .
“Clever Little Bag Hits Stores Nationwide.” Clever Little Shopper | PUMA Safe. Nov. 2010. Web. 17 Oct. 2011. .
“Consumers Pay Hefty Premium for Air, Packaging in 100-Calorie Packs.” Center for Science in the Public Interest. 14 Aug. 2007. Web. 15 Oct. 2011. .
Dougherty, Brian. Green Graphic Design. New York, NY: Allworth, 2008. Print. “Earth Talk.” Portland’s Better Living Home and Garden Show. Web. 18 Oct. 2011. .
“Factors in Packaging Decisions.” KnowThis.com: Marketing Tutorials, News, How-to and More. Web. 1 Oct. 2011. .
Foster, Hal. “Design and Crime.” Design and Crime (And Other Diatribes). 2nd ed. London: Verso, 2002. 13-26. Print. Heimeier, Rachel A., Biswajit Das, Daniel R. Buchholz, and Yun-Bo Shi. “The Xenoestrogen Bisphenol A Inhibits Postembryonic Vertebrate Development by Antagonizing Gene Regulation by Thyroid Hormone.” Endocrinology 2009 150: 2964-2973; Doi:10.1210/en.2008-1503. Highmore, Ben. The Design Culture Reader. London & New York: Routledge, 2009. Print. “The Industrial Evolution of Packaging.” Direct Essays. Web. 14 Oct. 2011. .
Keep America Beautiful. Web. 9 Oct. 2011. .
Lane, Christian. In.gredients.com. 8 Oct. 2010. Web. 10 Oct. 2011. .
McDonough, William, and Michael Braungart. Cradle to Cradle: Remaking the Way We Make Things. New York: North Point, 2002. Print. McWilliams, James. “How About Them (Wrapped) Apples?” Freakonomics. 2 Aug. 2010. Web. 12 Oct. 2011. .
Muncke, J. “Newly Identified Chemicals Leach into Food Packages, Pose Regulatory Challenge.” Environmental Health News. 07 Feb. 2010. Web. 20 Oct. 2011. .
Municipal Solid Waste in the United States: 2009 Facts and Figures. Publication. Environmental Protection Agency, Office of Solid Waste, Dec. 2010. Web. 18 Oct. 2011. .
“Packaging.” Reference For Business – Encyclopedia of Small Business, Business Biographies, Business Plans, and Encyclopedia of American Industries. Web. 21 Oct. 2011. .
Packard, Vance. The Waste Makers. New York: D. McKay, 1960. p. 58. Print. Perullo, Yvette, and Eric Benson. Re-nourish.com. Aug. 2009. Web. 21 Oct. 2011. .Peters, Jeremy W. “In Small Packages, Fewer Calories and More Profit.” New York Times. 7 July 2007. Web. 15 Oct. 2011. .
Rittel, Horst W. J., and Melvin M. Webber. “Dilemmas in a General Theory of Planning.” Policy Sciences4.2 (1973): 155-69. Print. Sparke, Penny. An Introduction to Design and Culture: 1900 to the Present. 2nd ed. London: Routledge, 2004. 4. Print. “Sustainability Index.” Walmartstores.com. Web. 20 Nov. 2011. . Sustainable Packaging Coalition. Web. 19 Nov. 2011. .
TerraCycle | Outsmart Waste. Web. 18 Nov. 2011. . US Environmental Protection Agency. Web. 19 Oct. 2011. .
Warner, Keith, and David DeCosse. “The Distinctiveness of Environmental Ethics.” Santa Clara University. May 2009. Web. 18 Oct. 2011. .
Widdup, Ellen, and Nicholas Cecil. “Packaging Adds 20% to Cost of Fruit.” This Is Money. 18 Apr. 2008. Web. 1 Oct. 2011. .
“Zero-Packaging Grocery Store to Open in Austin, Texas – Food – GOOD.” GOOD. Ed. Zak Stone. 24 June 2011. Web. 11 Oct. 2011. .
Yvette leads design at Bartlett Interactive, an agency with a commitment to sustainability and triple bottom line business practices. As a design educator, she focuses on integrating sustainability methodology into her courses. 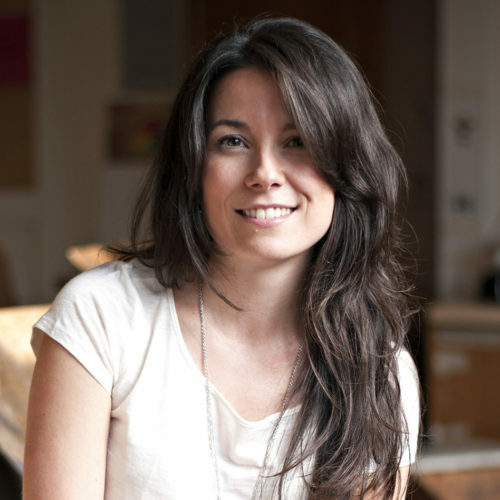 She received her MFA in Visual Communications Design from Purdue University and her MA degree in graphic design from the New England School of Art & Design at Suffolk University.